Jeff also asked me to create a poster to promote the EP release show. 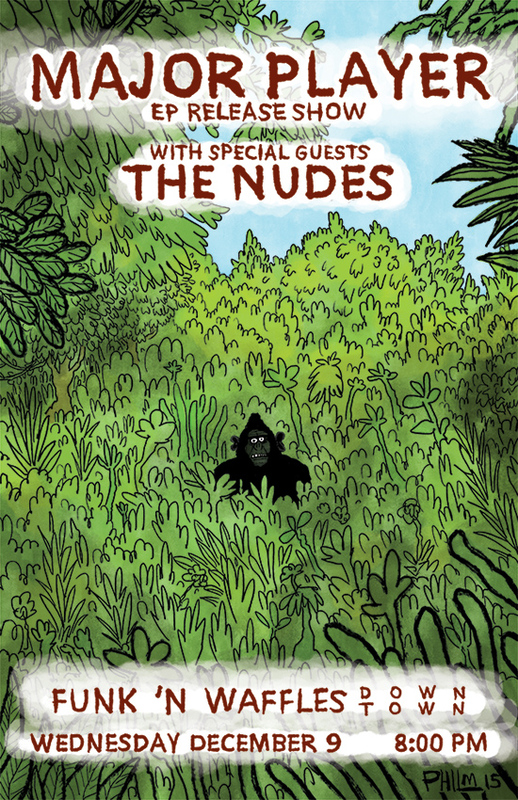 The band that I play drums in, The Nudes, was also on the bill. After talking about the poster over a couple beers, we decided to base the poster on imagery from the video.